We welcome residents of Crofton, Odenton, Bowie, Gambrills and the surrounding neighborhoods to our alternative health care center. Our Crofton chiropractic center offers a variety of services for new patients. We use diagnostic exams including x-rays and spinal screenings to help determine your spine's health. Then, Dr. McClenny designs a personalized care approach to help you reach your goals. We spend time with our new patients, getting to know you and collecting your health history. This time is important so we are able to provide the quality care you desire. 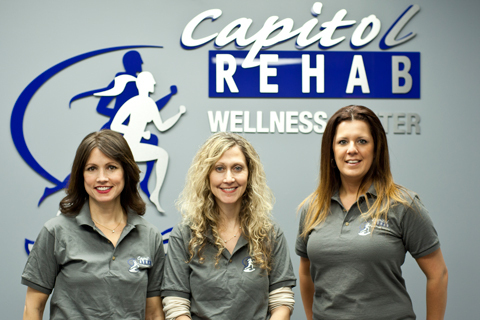 From chiropractic adjustments and physical therapy to nutritional counseling and acupuncture, we have your needs covered at Capitol Rehab of Crofton. In our new patient center you will find information on our payment options, be able to pre-fill out forms before you visit the office and read about what to expect during your first visit. In this area, you can also take a virtual tour of our facility to increase your comfort level. Our chiropractor and health staff provide health resources with links to other informative web-sites to answer questions you have regarding alternative health care. If this is your first time venturing into the chiropractic care arena, we applaud your desire to seek quality health care. Maybe you have tried other options to reduce pain or restore energy and have not found the results you desire- we have effective chiropractic options to alleviate your back pain, neck pain, joint pain and headaches. We are also able to align your body so you experience an increase in energy. If you are seeking chiropractic care to help with weight loss, we position your body into the best placement to support your efforts. Then, we encourage you to work with our nutritionist to learn the best ways to fuel your body while losing weight. Our team will also show you exercises to strength your muscles, increase your range of motion and promote weight loss. We understand that as a new patient, you have many questions and our health staff is available to provide answers. We show you the research that supports a natural, chiropractic approach to pain relief. We tell you about our experiences with clients who have been able to avoid surgeries after receiving chiropractic care. We cannot wait to share with you the ways in which a chiropractic approach has enhanced our lives. We welcome patients who are new to chiropractic care and also invite those who are seeking a new chiropractic doctor. Please review the forms in our new patient center to prepare for your initial visit. This will save time when you arrive at Capitol Rehab of Crofton. Plus, when you fill out the forms at home, you are more likely to remember your health history to provide us the best starting point for your care. If you have any questions, or to schedule your consultation, please call us at (410) 451-3561.